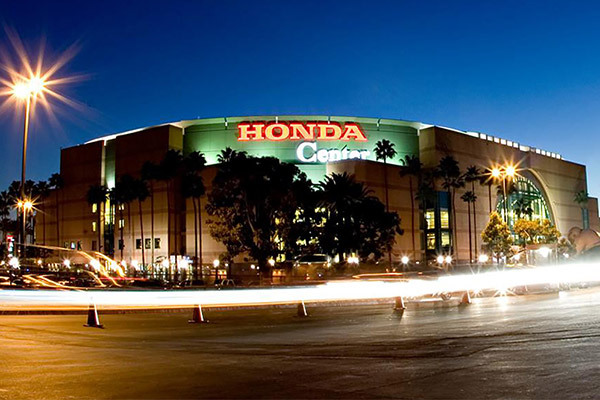 Located in sunny Orange County, Honda Center is Southern California’s finest entertainment and sports venue. 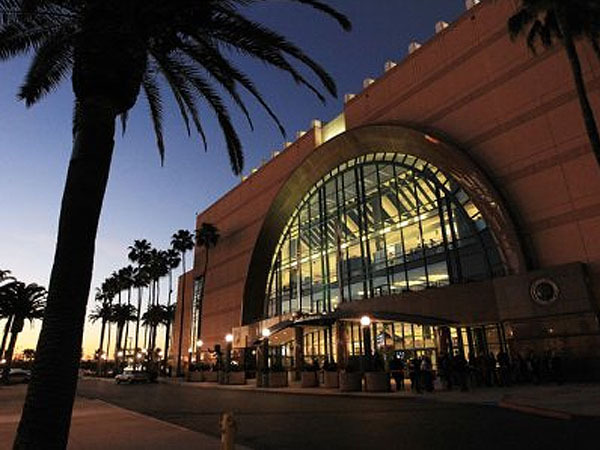 Since its grand opening in 1993, the arena has been home to the NHL’s Anaheim Ducks and welcomed top names in music, family and sports entertainment. 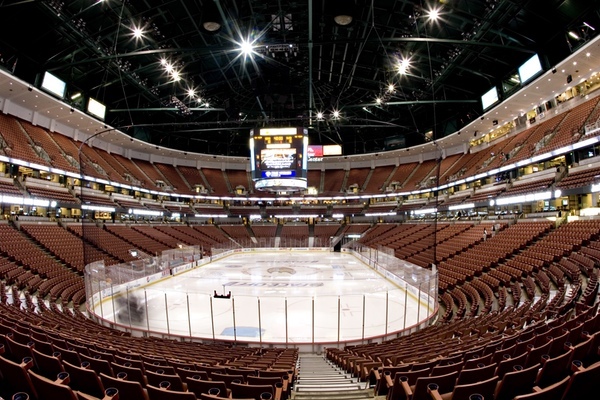 With the ability to transform into multiple configurations going from theatre, to lower bowl only, to full arena, Honda Center is the ideal place to host any type of event. 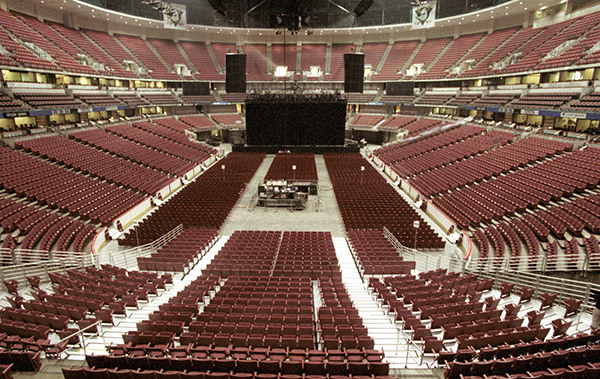 A custom curtaining system in the upper bowl, designed and engineered specifically for the venue, allows concerts and events to play an end-stage configuration that includes only floor, plaza and club level seating. The curtain panels are separated into various sections that are able to roll up into the rafters, maintaining a clean look when not in use and creating the opportunity to add or remove coverage based on ticket inventory on an as-needed basis. 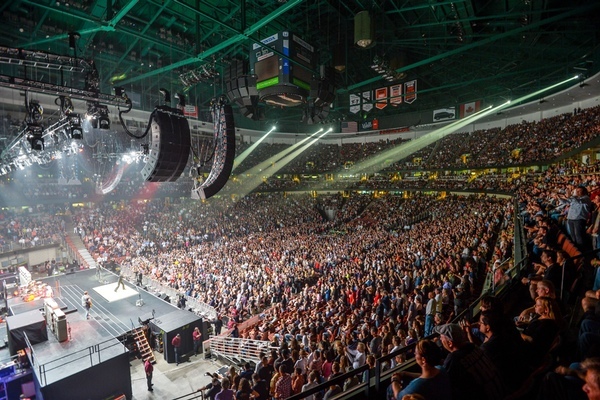 Honda Center is comfortable and accommodating to crowds of all sizes with state-of-the-art amenities that make the arena enjoyable to artists, show personnel, producers and guests alike. Our entire staff is well trained and offers “world-class” service in order to ensure that each and every event is a success.